Knitwear - Hats, headbands, scarves vests! 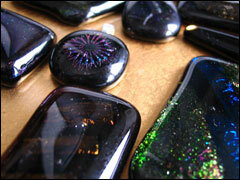 The Wilds of Michigan is home to Mountain View Gallery in Silver City, Michigan featuring unique hand-crafted pieces. 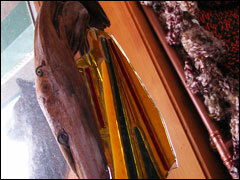 On site artists Rick & Jen Varecha work in a variety of mediums, from fiber to wood and from glass to paper. 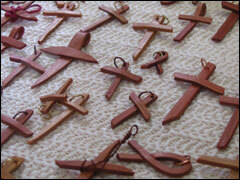 Each item is individually created and is one of a kind! Orders for special items or larger quantities are welcome. New addition! 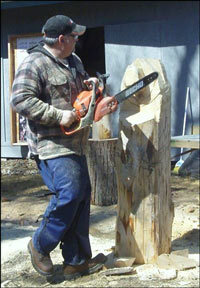 We now offer chainsaw carvings created on site! Demos throughout the week, weather permitting. 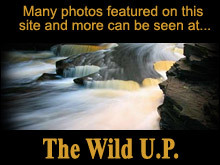 Please visit www.thewildup.com for more Photography by Rick Varecha. 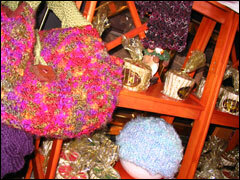 When you are in Silver City, please stop by and browse through our wide variety of items.